As the Chair of UCLA Urology, I am excited to lead an exceptional group of physicians, scientists, and staff, whose combined efforts have helped us become one of the best in the country. UCLA Urology has been consistently ranked #4 in the nation in the U.S. News & World Report annual survey, and that is the result of our commitment to providing outstanding and personalized clinical care. We are devoted not only to offering compassionate and innovative urological care and treatment for our patients, but also to providing support to our patients’ families. As guided by our mission, we maintain a commitment to promoting outstanding medical care so our patients can enjoy optimal health. UCLA Urology, with its large and diverse research programs, is committed to developing and promoting cutting-edge discoveries in basic science, clinical trials, and population medicine. Our faculty and research teams constantly strive to optimize the technologies we have and invent the technologies we need in order to bring to our patients the latest developments. The collaborative efforts of our clinical and research teams result in the offering of the best treatment options to help improve the quality of care and life for all of our patients. UCLA Urology seeks to create world leaders in urological health and science by providing the highest quality education for our trainees through our renowned residency and fellowship programs. We seek to discover the basis for urological health and cures for urological disease. We seek to optimize urological health through diverse community partnerships to improve the urological health of the broader community. And, most importantly, we seek to help heal humankind, one urological patient at a time. Simply, we aim to promote outstanding patient care and support the educational and scientific programs of our enterprise. We continually aspire to seek and apply groundbreaking medical and surgical technology for the diagnosis and treatment of patients with urologic diseases. This is our mission. 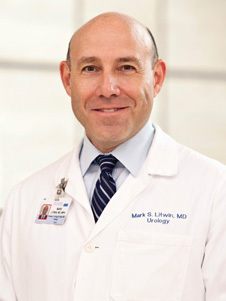 We welcome you to UCLA Urology!